Son Heung-min has revealed how former Manchester United striker Ruud van Nistelrooy played a key role in launching his career in Europe. 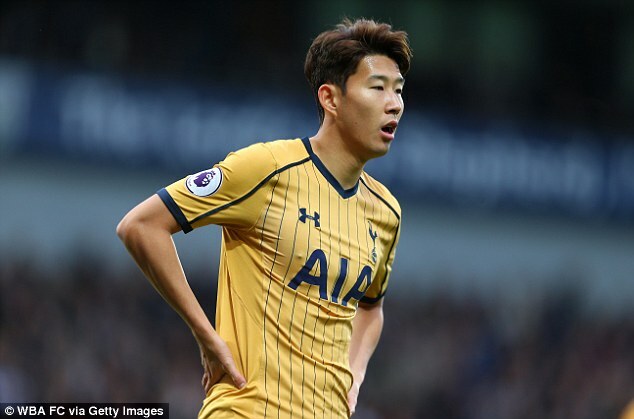 Son has been in irresistible form for Tottenham this season but suffered a culture shock when he left his native South Korea for Germany, aged 16. He joined Hamburg’s academy before a £9million transfer to Bayer Leverkusen, where he returns for the first time with Spurs in the Champions League. ‘At 16 it was difficult,’ said Son. ‘When I came to Europe, I knew no English and no German, nothing. ‘I didn’t know any friends. No-one came with me. ‘I felt so alone and so humble because everyone was helping me. It was tough in the first year. Van Nistelrooy spent 18 months at Hamburg in the twilight of a glittering career after leaving Real Madrid. And the Dutchman, who scored 150 goals in 219 appearances for United, comforted and encouraged the shy teenager. 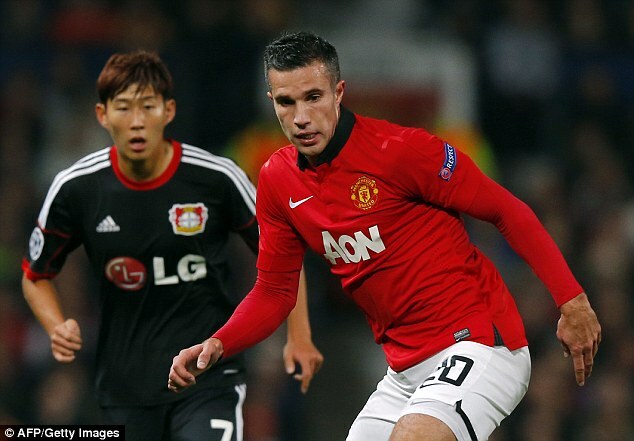 ‘Ruud helped me a lot,’ said Son. ‘He saw my first training-session, and he talked to me. ‘He told me I was a good player. He gave me confidence and I want to thank him for that. Son returns to Germany as Tottenham’s in-form striker, shouldering the scoring burden with Harry Kane out injured. He left Leverkusen under a cloud last year but will not celebrate if he scores against them. ‘It’s a special game for me,’ said the 24-year-old. ‘I had some great times there. My first game in the Champions League against Manchester United at Old Trafford was an exciting memory, and I scored two hat-tricks in the Bundesliga. ‘I made so many friends. I am very excited and a little nervous to be going back. I’m not sure how the reception will be. Tottenham have travelled to Germany without Kyle Walker, who is rested, and Toby Alderweireld, who had a scan on Monday on the knee he injured at West B inrom. ‘We believe it’s not a big issue,’ said Mauricio Pochettino, who hopes to have Alderweireld fit to face Leicester in 10 days’ time. Eric Dier is expected to drop into central defence against Leverkusen. ‘Eric is a player who can develop his game in different positions,’ said Pochettino.